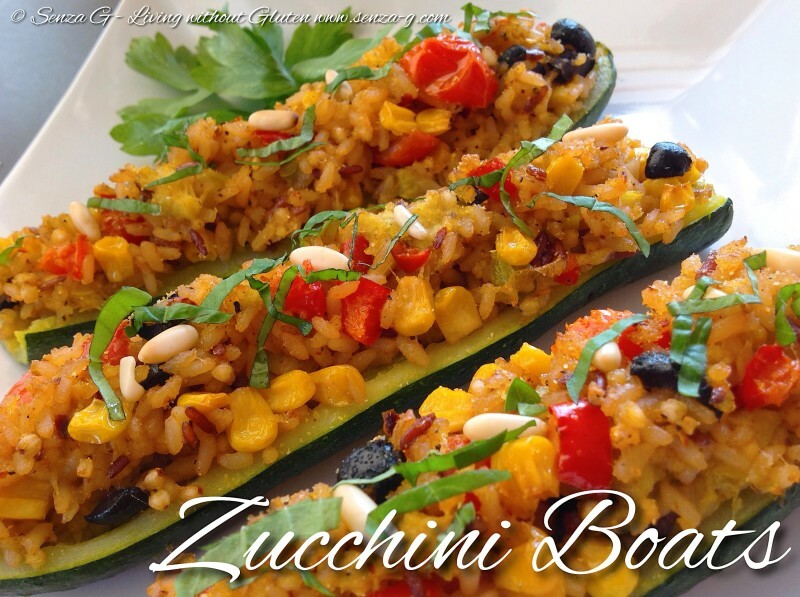 Zucchini is such a versatile vegetable, although, botanically, zucchini is actually a fruit! Can be cooked in so many ways that are savory and also in sweets. So it is no wonder it is unbelievably delicious in cakes, since it is a fruit, after all! A top favorite way is definitely stuffed zucchini. Our traditional Maltese zucchini are stuffed with a meat mixture and then baked on a bed of sliced potatoes and we normally use the round zucchini, more like a squash or marrow. http://www.senza-g.com/stuffed-marrow…asted-potatoes/ ‎ The elongated zucchini in this recipe, instead, are stuffed with vegetables and rice and would be perfect fare for vegetarians and also possibly for vegans. If you do not have the rice mix available you can just use brown rice. Or you could also mix your own. Boil the rice mix, until nearly cooked, but would still have a little bite to it. In a large pan saute the onion, celery, pepper, and garlic. Cook over medium heat in a little olive oil, until vegetables are just tender. Add the quartered tomatoes and herbs and cook for a another couple minutes. Dissolve a teaspoon of vegetable stock in half a cup of water and stir into the vegetables. Season with salt and pepper and chilli if using. Remove from the heat. Add the drained rice together with the sweetcorn and the chopped black olives. Stir in the grated Parmesan Cheese. Stuff the zucchini boats and place in a baking dish. Sprinkle the tops with the pine nuts. Pour in some water in the baking dish to come up to just a 1/4 of the zucchini. Drizzle the top with a little olive oil and bake for about 30 minutes. Garnish with fresh basil before serving.